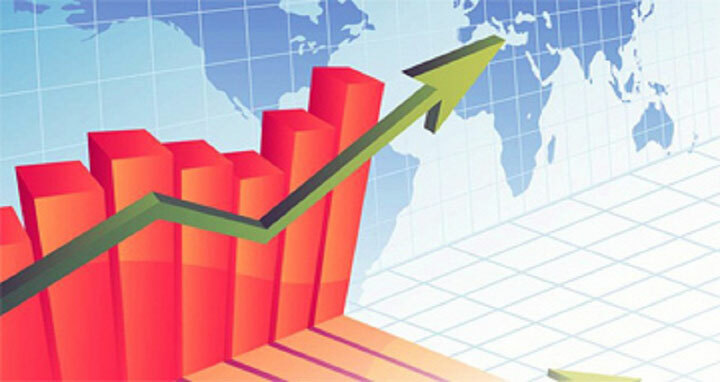 Dhaka, 29 Dec, Abnews: The government is expecting that the country's economy will perform better in 2018 after maintaining steady progress in major fronts in the outgoing year 2017. Economic analysts are also confident about brighter future. Taking to BSS, State Minister for Finance and Planning MA Mannan and Eminent Economist Analyst and former Director General of the Bangladesh Institute of Development Studies (BIDS) Dr Mustafa K Mujeri expressed their high optimism of achieving targeted economic growth next year. "The year 2017 turned out to be very well for Bangladesh in terms of economic performance as there were many achievements," said MA Mannan. He noted that Bangladesh was able to attain a record 7.28 percent growth in the last fiscal year that ended in June, which was an "excellent performance". About the growth prospect in the current fiscal year ending in June 2018, the state minister was also very much optimistic of achieving the fiscal target of 7.4 percent saying, "We're hopeful about achieving that or reaching very close to that target". Mannan said despite various natural calamities in the outgoing year like incessant rain and early and pro-longed flood, the general point to point inflation was around 5.0 percent. About the implementation of mega and big projects, he said the implementation of the Padma Bridge project and work on Rooppur Nuclear Power Plant have become visible while the double track Dhaka-Chittagong railway line is likely to be ready by mid next year. He also informed that the Bangabandhu Satellite is likely to be launched in the orbit soon, which is expected to open up a wide range of potentials for the country in the telecommunication sector. The state minister said despite damages of food grains and crops in the current year due to natural disasters like incessant rain and flood, there was no food crisis in the country, he added. Mannan said that power sector attained huge successes in 2017 as the coverage of power now reached 85 percent and every household would come under the power network by 2019 ahead of the targeted year of 2021. Former Director General of BIDS, Mustafa K Mujeri said Bangladesh is poised to attain targeted 7.4 percent growth in end of the current 2017-18 financial year in continuation of its excellent performance of achieving 7.28 percent growth in fiscal year. "Attaining 7.4 percent growth is quite achievable at the end of current fiscal year (FY18). If the Agriculture sector, especially the next Boro output fared better, then there will be a definite positive impact," he said. Dr Mujeri noted that the most important thing was that growth had become stable amid various challenges. "This shows the resilience of the economy and the economy of Bangladesh has now gained the power of moving forward in the right path despite external shocks," the economist said. About the implementation of the mega projects, he said implementation of the lone Padma Bridge project would boost the country's GDP growth by 1.2 percent. If the other mega projects are implemented in line with the pace of the Padma Bridge project, then it would be possible to boost the GDP growth to 8 to 10 percent in the next three years, he said. Dr Mujeri said that the year 2017 was a year of a lot of happenings in the economic context as there were a good number of achievements in the macroeconomic front. He said the positive sides were that all the major economic indicators were aligned with the fiscal and monetary policies. Citing that the next year will be the election year, Mujeri said if the national election is held in a free, fair and credible manner and there is no political instability, then the economic growth would not be hampered. Besides, if the agricultural production is not hampered and if there is no instability in agricultural outputs, then the inflation rate would remain within the fiscal target. Referring to some weaknesses and instability to some extent in the financial sector, especially in the banking sector, Mujeri, also the executive director of the Institute for Inclusive Finance and Development (InM), said default loan incidents and loan scams in banks like Farmers Bank, do not give good signal to the economy and such issues should have to be strictly addressed. The eminent economic analyst said such things hamper development efforts in the long term saying:"We'll have to remain cautious so that the financial sector does not put any barrier to the growth of the real sector,"